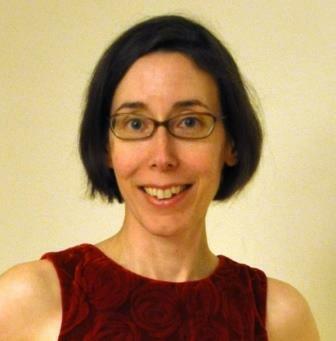 Susan Baer is a Contributing Faculty Member in the School of Public Policy and Administration where she serves as a dissertation committee chairperson, dissertation committee member, and/or methodologist. Dr. Baer earned her M.A. and Ph.D. in Government and Politics at the University of Maryland, College Park where her two areas of specialization were U.S. public policy and political theory. She also completed a postdoctoral appointment at the Workshop in Political Theory and Policy Analysis at Indiana University where she was fortunate to have had the opportunity to work with Professor Elinor Ostrom, a Nobel Prize Winner in Economics. Dr. Baer has ten years of university teaching experience in Pennsylvania, Wisconsin, and California where she won three teaching awards. Her publications include numerous peer-reviewed academic journal articles and book chapters with an emphasis on U.S. urban politics and policy. She has written extensively about business improvement districts in the United States. Dr. Baer’s work history also includes relevant non-academic positions in the field. For example, she previously worked as a Presidential Management Fellow at the Social Security Administration in Baltimore, Maryland and Washington, DC. She also worked as a Municipal Bond Credit Analyst at Legg Mason, Inc. in Baltimore. In addition, she completed two internships with the Baltimore City Council while in the doctoral program at University of Maryland. Baer, S. E., Feiock, R. C. (2005). "Private Governments in Urban Areas: Political Contracting and Collective Action". American Review of Public Administration. Baer, S. E., Marando, V. L. (2001). "The Sub-Districting of Cities: Applying the Polycentric Model". Urban Affairs Review. Baer, S. E., Marando, V. L. (2003). "Urban Collective Governance Organizations: The Effect of Institutional Arrangements on Organizational Behavior". Public Administration and Management: An Interactive Journal. Baer, S. E., Ihrke, D. M. (2004). "The Local Political Economy of Inner City Neighborhoods: Theory and Application". Public Administration Quarterly. Baer, S. E. (2008). "Private Governments: A Polycentric Perspective", pp. 51-69.